We are committed to involving the public in every stage of our research – from its design to dissemination of results. Our public engagement programme has led to new research opportunities, reached out to our twin volunteers and engaged a wider audience through television programmes and public and educational events. As well as events, we have conducted public opinion surveys on relevant controversial issues such as cloning, internet-based personal genome sequencing and the consent process, the results of which have helped to inform social policy. Every four to five years the DTR hosts a twin party in the grounds of St Thomas’ as a thank you to volunteers of TwinsUK. Most recently, we hosted a 21st anniversary party, packed with talks, interactive activities, stalls, food and entertainment for 700 twins. In 2009, we hosted another twin party which the BBC filmed for the ‘The Secret Life of Twins’; exploring what science can learn from the uncanny similarities between twins. Our public engagement team is often called upon to create exciting and interactive activities inspired by twin research. We were delighted to have been asked to take part in the Wellcome Collection’s Friday Late Spectacular: In Pursuit of Pain (2016), the 2014 Evening Standard Power 1000 party and also a high profile event to announce the 2014 Wellcome Trust and BFI Screenwriting Fellowship winner in association with Film4. At these events, researchers and twins alike engaged in interactive fun science with members of the public inspired by our research. Research at the Department of Twin Research has been reported widely in the media and the news. Documentary makers have also filmed twin parties, twin visits and interviewed DTR staff and the director, Professor Spector. Below are two examples of the documentaries we have been involved in. 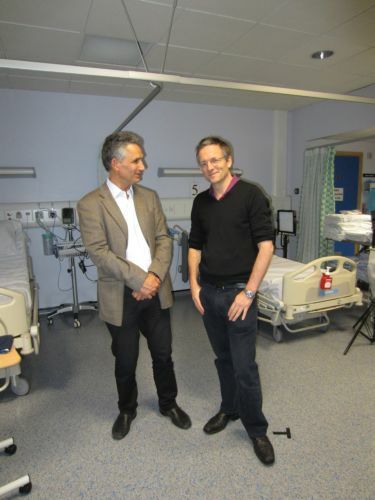 The Horizon programme on BBC TWO ran a feature called “The Truth about Personality” (2013) in which Michael Mosley explored the latest science about how our personalities are created and whether they can be changed. The programme included a section about the research being conducted at the Department of Twin Research. Interesting lectures by the Director of the DTR, Professor Tim Spector and other DTR researchers and academics have attracted large audiences. We have also organised well-attended and interesting lectures by Mark Henderson (Head of Communications at the Wellcome Trust and former Science Editor of The Times) and Julian Baggini (the author of several books about philosophy who talked about genes versus free will). You can see some of these lectures by clicking on the links below. Professor Spector (Director of the DTR) also gave a lecture on epigenetics at the official launch of the Museum of Science, Boston Hall of Human Life which aims to revolutionize how people understand their own biology and manage their health. To see the lecture please click on the video below. You can also see Professor Chris Hammond’s Inaugural lecture as the KCL Frost Professor of Ophthalmology in 2012 by clicking on the video link below. The talk is called “A Twin Tale: What makes you Myopic?” and in it, Professor Hammond discusses the relative roles of nature versus nurture in causing myopia (short-sightedness), and the importance of twin studies in understanding the genetic basis of myopia and other heritable diseases. 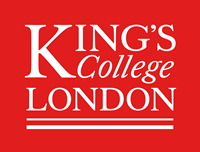 Three leading scientists at the DTR were speakers at TedxKingsCollegeLondon, exploring the theme of “Beyond the genes: Identity, health, culture”. Professor Tim Spector’s talk was titled “ Identically Different”. Dr Claire Steves discussed “Mastering time: a key to successful ageing”. Professor Chris Hammond’s talk was titled “My little eye”.